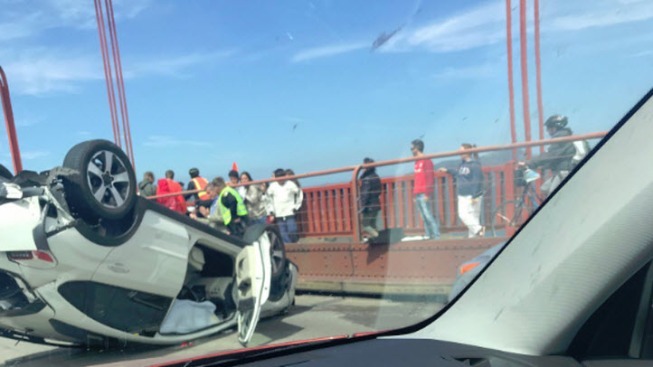 A rollover crash blocked several northbound lanes on the Golden Gate Bridge Thursday afternoon, officials said. Minor injuries were reported in the collision. All lanes reopened just before 5 p.m.